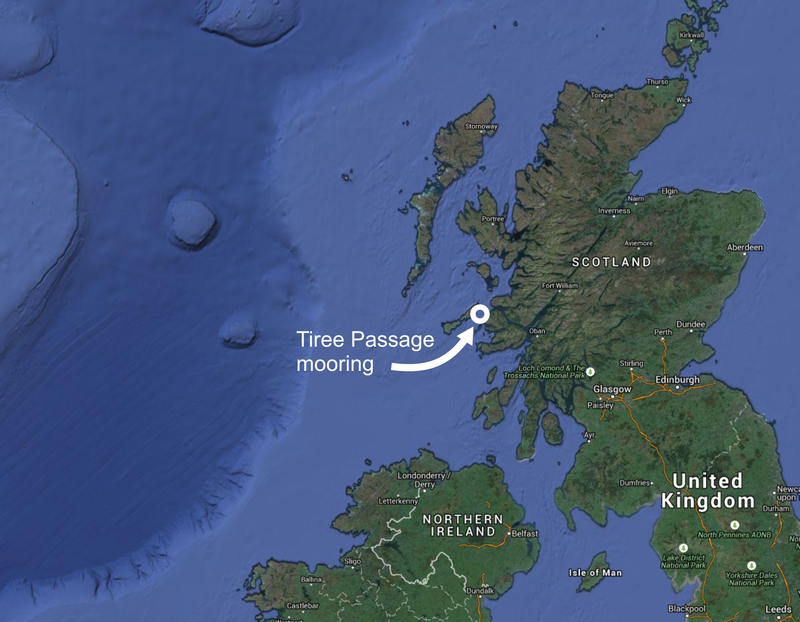 The Tiree Passage Mooring is serviced by staff at the Scottish Association for Marine Science, and represents an invaluable record of the coastal conditions in Scottish waters between 1981 and present. Throughout the years, moorings have regularly been damaged or lost due to winter storms, fouling on fishing trawls or instrument failure, so the mooring typically needs renewing twice a year. The data are currently available by request (contact Colin Griffiths or myself for details), but we are working with the British Oceanographic Data Centre to get it banked and made publicly available via the BODC website. Current speeds (cm per second) and water temperature (degrees C) measured by the Tiree Passage Mooring between 1981 and present, and salinity measured by the mooring between 2002 and present. Current: grey lines show raw data, black points show month means. Temperature: grey lines show raw data, black points show the offset of each month from the long-term mean. Salinity: black points show raw data. Of particular interest is the recent reversal in the increasing temperature trend between 1980 and 2006 noted by Inall et al. (2009), which is in accordance with the halt in declining Sub-Polar Gyre strength in the North Atlantic (Hátún et al., 2005, Johnson et al., 2013). This means that the oceanic water reaching the UK coastline may have a more northerly origin than during the temperature peak in the mid-2000s. The high salinity range reflects the seasonal changes in water mass presence on the Hebridean shelf; winter storms drive high salinity Atlantic water rapidly across the shelf, sometimes completely replacing the fresher coastal current originating in the Irish Sea. Hátún, H., Sandø, A. B., Drange, H., Hansen, B., & Valdimarsson, H. (2005). 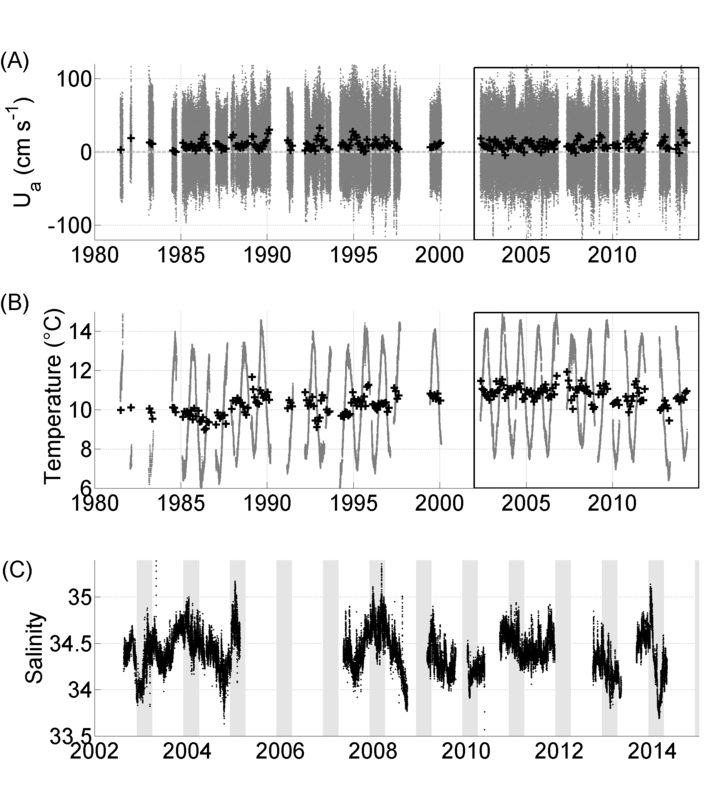 Influence of the Atlantic subpolar gyre on the thermohaline circulation. Science, 309(5742), 1841-1844. Inall, M., Gillibrand, P., Griffiths, C., MacDougal, N., & Blackwell, K. (2009). 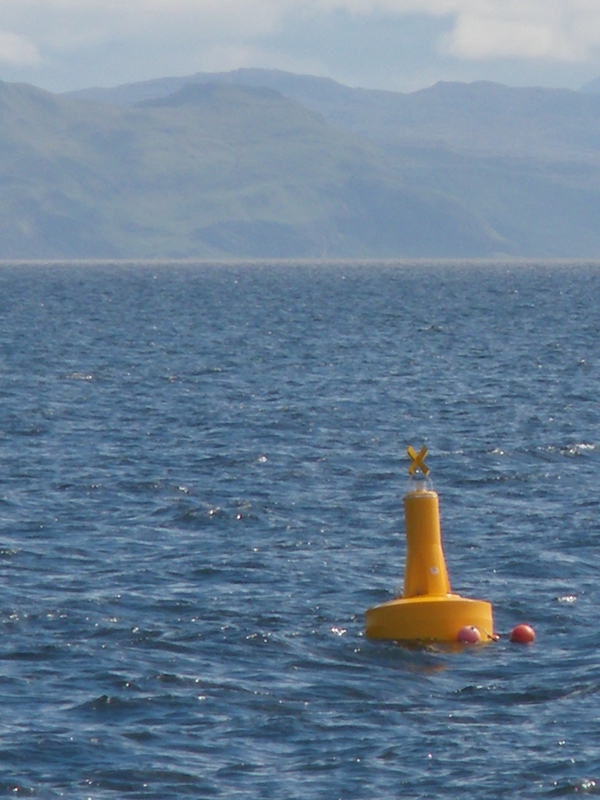 On the oceanographic variability of the North-West European Shelf to the West of Scotland. Journal of Marine Systems, 77(3), 210-226. Johnson, Clare, Mark Inall, and Sirpa Häkkinen. 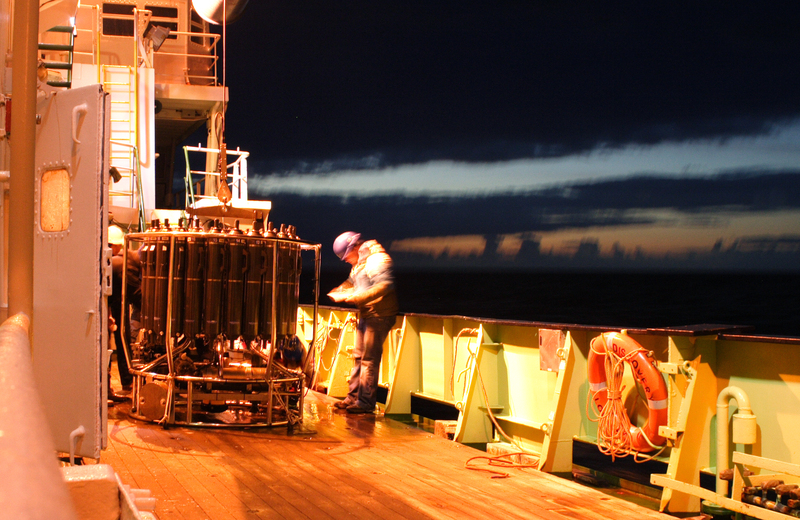 “Declining nutrient concentrations in the northeast Atlantic as a result of a weakening Subpolar Gyre.” Deep Sea Research Part I: Oceanographic Research Papers 82 (2013): 95-107.